DETROIT -- Visteon Corp. shareholders won a victory today when the U.S. bankruptcy judge overseeing the supplier's Chapter 11 case again delayed a decision that could have given company bondholders the green light to buy 95 percent of Visteon's new equity. Judge Christopher Sontchi sided with Visteon shareholders and lenders who sought extra time to come up with an alternative proposal to reorganize the company. A hearing was expected to be held today to approve the disclosure statement for Visteon's most recent reorganization plan where some of the company's bondholders would receive 95 percent of Visteon's new common stock if they could raise $1.25 billion through a rights offering. The cash would be used to repay existing lenders holding about $1.6 billion in loan debt. Shareholders objected to the plan -- as they have for months -- because it wiped out existing equity. Visteon's lenders also objected to the plan because of more than $100 million in fees Visteon would have owed to bondholders who complete the rights offering. 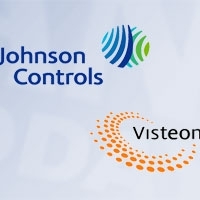 The decision to again delay Visteon's bankruptcy case, just four days short of being underway for a year, comes after Friday's news that Johnson Controls Inc. has placed a $1.25 billion offer on the table for Visteon's interiors and electronics business. JCI wants to acquire the businesses -- including the related technical centers, tooling, equipment, plants, employees and working capital in the businesses, according to a May 20 letter sent by JCI CEO Stephen Roell to Visteon CEO Donald Stebbins. Key drivers in JCI's interest in the Visteon units are its ownership stakes in Chinese joint ventures Yanfeng Visteon, Yanfeng Visteon Automotive Electronics Co. Ltd and Chongqing Changan Visteon Engine Control Systems, Roell said in the May 20 letter. The offer excluded any unfunded pension liabilities, Visteon's cash, long-term debt, warranty claims and Visteon's climate control products business, according to the letter. Roell said JCI is prepared to begin due diligence as soon as Visteon is able. Visteon spurned JCI's overture in a statement issued Friday, calling the proposal “highly conditional,” saying it was unclear if the deal would add any value for Visteon stakeholders and noting timing of the announcement came late in the bankruptcy process. JCI “is a direct competitor that stands to benefit by introducing delay and complexity into the Visteon reorganization process,” the Visteon statement said. JCI said it first approached Visteon about this most recent deal in January, and again on May 7 and May 20. JCI also conducted due diligence more than two years ago to evaluate Visteon's electronics business for a possible acquisition. In his May 20 letter, Roell recalled that due diligence to respond to Stebbins' claims that JCI has not moved quickly on past dealings with Visteon. Jacqueline Strayer, JCI's vice president of corporate communication, said last week that JCI made its interest public because it wanted to make its interest known before Visteon's reorganization plan hearing today.